Fees associated with filing trademark applications in Romania, as well as other trademark fees, are available in the fee calculator. Multiple-class trademark applications are possible in Romania. The official legalisation is not required. The Power of Attorney may be a subject of late filing by the applicant’s request. The term granted by the patent office for late providing of the Power of Attorney is 30 days after filing the trademark application in Romania. The priority document should be provided simultaneously with filing the trademark application. Late filing is possible on condition of payment of the corresponded fee. Priority document should be translated into Romanian. The trademark in Romania is valid for ten years from the date of filing. Opposition against Romanian trademark applications may be filed within two months from the publication of a trademark application. The trademark in Romania may be renewed within three months before the due date and in a grace period of 6 months after the due date. The signed and stamped (if applicable) POA is required. The trademark in Romania may be subject to cancellation if it has not been used for five continuous years from the date of registration or the last date of use. For foreigners residing outside the European Union and the European Economic Area, it is compulsory to perform the trademark prosecution in Romania through an agent, a registered Romanian patent attorney. Words, including personal names, designs, letters, numerals, figurative elements, three-dimensional shapes and, particularly, the shape of goods or packaging thereof, colours, combinations of colours, holograms, acoustic signals, as well as any combination thereof, provided that such signs are capable of distinguishing the goods or services of one enterprise from those of other enterprises may be registered as a trademark in Romania. 1. Online Search databases: TM View, EU Trademarks, International Trademarks. 2. 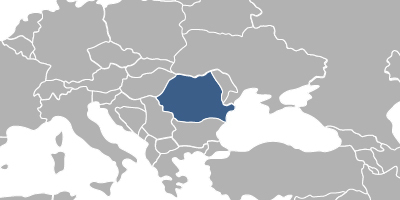 Trademark protection in Romania may also be obtained via registration of the European Union Trademark.